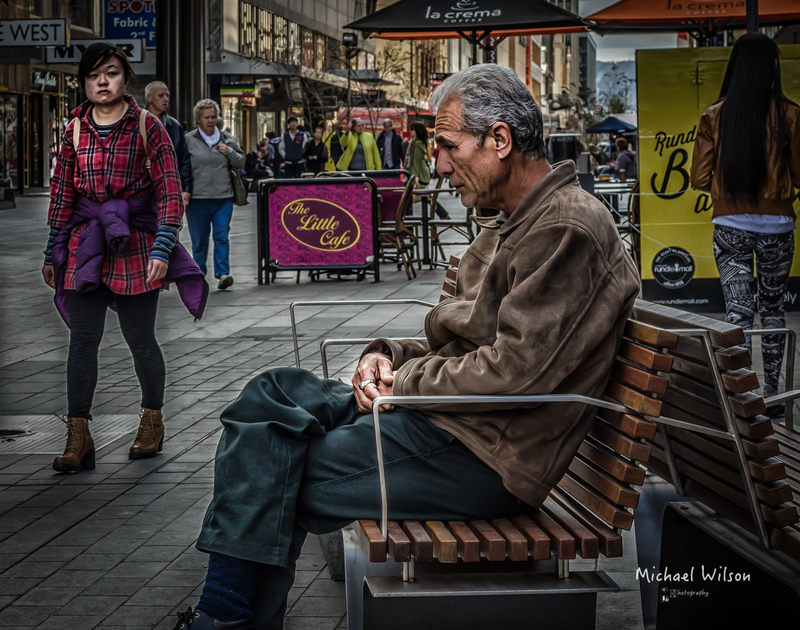 This entry was posted in Photography and tagged Adelaide, Adelaide Street Photography, City, colour, colour fx pro, Photography, Rundle mall, South Australia, Street Photography. Bookmark the permalink. I thought this was a painting. Awesome picture! That man needs to get himself a camera! This is a single photo essay (or commentary) on human isolation. The look on his face, and on her face – it says it all. yes I found the looks very interesting indeed ! Would love to hand him a cup of coffee, sit down next to him, and just see what he has to say. Great shot, Mike…..really loved it. In reality I think he was just waiting for his wife to come out of a shop. Though I think I caught him deep in thought, he may of been thinking about his credit card ! !